The Tom Ford lipstick collection has 12 luminous colors ranging from soft neutrals and pinks to intense reds and plums. While Pink Dusk is perfect for every day, it is fun to mix it up every now and then. 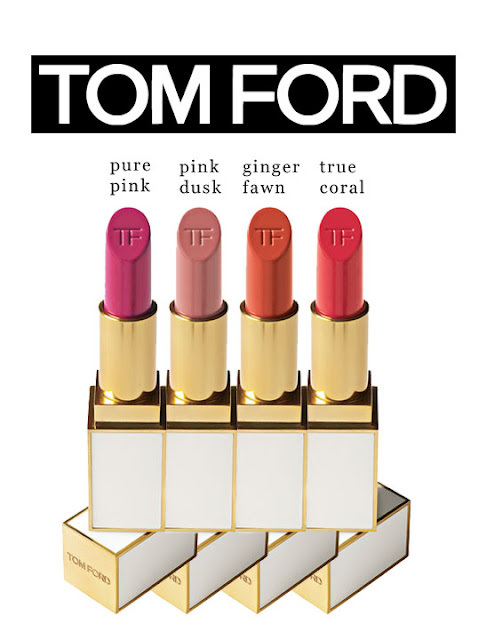 For that added pop of color, Pure Pink, True Coral, and Ginger Fawn are our favorites. These vivacious shades are perfect for both day and night. Plus, we love the elegant look of the white and gold packaging. Styling Tip: Pair them with vibrant brights and prints this summer and carry them into fall with neutrals and solids.